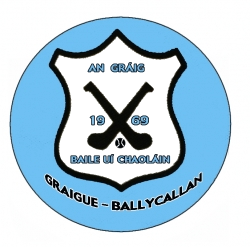 Graigue Ballycallan U10’s participated in the Ballyhale U10 Aylward Cup Tournament on Sat 1st September. In the first match they were up against Dunnamaggin and had a great win 5-2 to 0-0. 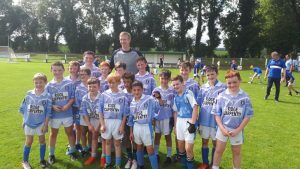 Next up was Davidstown of Wexford and the boys had another great win, 5-5 to 1-00. They were now through to the quarter final and were up against Rower Inistioge. The boys dug deep and came out worthy winners 2-6 to 2-2. 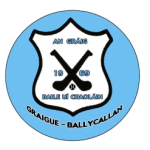 In the semi final their opponents were hosts Ballyhale Shamrocks who proved too strong for our boys on a scoreline of 2-2 to 0-3. What a fantastic bunch of boys who gave it everything on the day, they should be so proud of themselves. Well done all!